Post: Gaurav Akrani. Date: 9/21/2011. Comments (3). Label: Finance, Management. To use this collected finance for earning maximum profits. Thus, financial management means to plan and control the finance of the company. It is done to achieve the objectives of the company. "Financial management is concerned with raising financial resources and their effective utilisation towards achieving the organisational goals." "Financial management is the process of putting the available funds to the best advantage from the long term point of view of business objectives." Financial management has a wide scope. According to Dr. S. C. Saxena, the scope of financial management includes the following five A's. Anticipation: Financial management estimates the financial needs of the company. That is, it finds out how much finance is required by the company. Acquisition: It collects finance for the company from different sources. Allocation: It uses this collected finance to purchase fixed and current assets for the company. Appropriation: It divides the company's profits among the shareholders, debenture holders, etc. It keeps a part of the profits as reserves. Assessment: It also controls all the financial activities of the company. 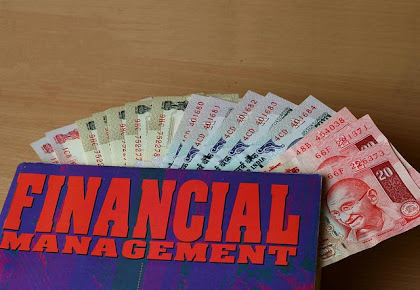 Financial management is the most important functional area of management. All other functional areas such as production management, marketing management, personnel management, etc. depends on Financial management. Efficient financial management is required for survival, growth and success of the company or firm. very creative description of finance management. it is easy for a scolar to remember the 3A's. Thank you so much. I didn't expect that I would get this precious information from internet. Thank u so much, sir... for blogging this articles, coz i have been using this site from 1 year.